Renovated, open floor plan, large outdoor screen porch, laundry on 1st floor. A few blocks to Ocean Wall. Sorry no Pets (Pet free house). Beach passes included. Walk to Narragansett town beach, pier, marketplace, movie theater, library, park and restaurants. 20 minutes to Jamestown & Newport attractions. 35 Minutes to Foxwoods Casino. 30 minutes to Providence. Classic Cape with new kitchen and baths, 4 bedrooms with 2 full bathrooms, Den/Office. 3 season porch/summer room off kitchen. Laundry on 1st floor and much more. Complete wiring for Fios - Internet and TV. Quaint, comfortable and a definite YES for coming back! What a cozy little cottage! We had a terrific time..thank you Mike & Jessica. The house was immaculate, beds comfortable and bedrooms upstairs were especially nice and relaxing. Kitchen had all necessities and what a peaceful neighborhood---we all slept so well after days on the beach. Big porch area made for a wonderful evenings over sundowners. This house was perfect for our family. We rented from Mike and Jessica for 2 weeks and had a great time. The beach is a short walk and there is plenty to do in the surrounding areas. Mike was excellent. He responded to our emails immediately. He contacted us prior to our arrival and he checked in with us while we were there to make sure everything was as expected. He made sure we had everything we needed (including a full tank of propane for the gas grill). He gave us recommendations for restaurants and other places to go in the area. The best part of this house is it comes with 4 beach passes which is huge since the Town Beach charges for parking and entry per person. The bedrooms are bright and cherry with all new comforters/blankets. There are ceiling fans and AC units which were nice on some of the hotter days. It's in a quiet area and there is a nice screened in porch. Again, thank you to Mike and Jessica for making our 2 weeks pleasant. House was tired. E.g. Bed downstairs creaked and sunk in the center. Stairs steep, no railing. Owners generously supplied cleaning products and entertainment and restaurant recommendations. Location and porch were great. Thank you! Thank you for your comments. The downstairs’ bed has been replaced. We do have a full bedroom and bathroom downstairs for people who don’t like to go upstairs (the stairs are a little steeper that new staircases today, but I’ve climbed much steeper as well). We do have standard railing for people to hold. We take pride in proving a nice place to stay. We replaced the upstairs windows, installed new floors and painted inside a few years ago. The kitchen and downstairs were renovated when we bought the house. We will continue to keep things current and provide more updates during the off season. This property is in a fine location with easy access to the beach, restaurants and pier. In addition, Mike was very quick to solve a problem that arose while we were there. However, it really needs a thorough cleaning and paint job. The nights were cool but we couldn't open some of the windows because of their condition. I would love to rent again if things change. Thank you for your comments, we have been renting for about 10 years now with many repeat guest and make improvements each year based on feedback. The windows upstairs are all new which we put in 2 years ago along with new hardwood floors, I’ll have the downstairs windows fixed during the off season. We did change our cleaning service mid summer, and our guests have all said positive things since. We look forward to seeing you back next year. 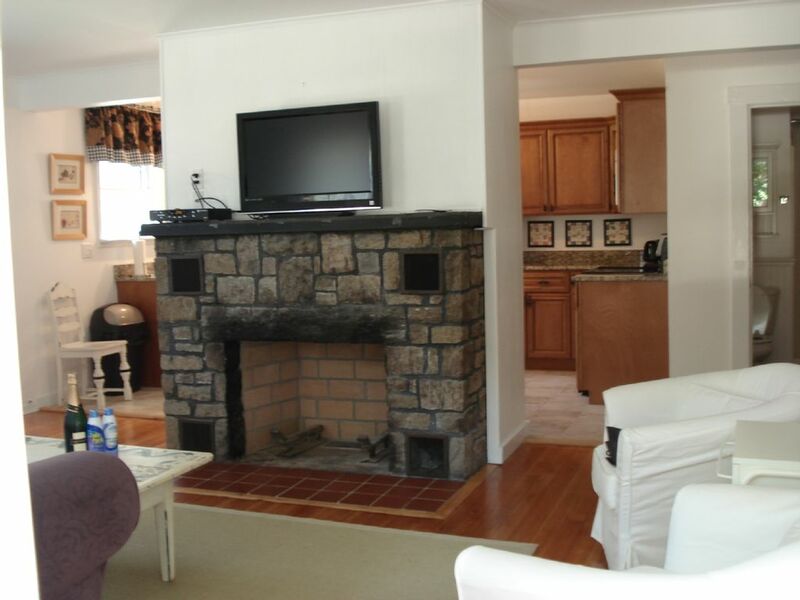 Located in Narragansett Pier and minutes to several ocean beaches. In walking distance to Town Beach, library, churches, restaurants and park. Narragansett is a short drive to nearby Casinos, Newport and Providence.